Envisat, the European Space Agency’s (ESA) earth observation satellite, has stopped functioning properly. Communication with the satellite was lost on April 8th when data was unable to be retrieved as it passed over the ground control station in Kiruna, Sweden. Efforts by members of the ESA mission control team have not been successful in reestablishing communications. ESA reports that the satellite remains in stable orbit around the earth. Envisat recently celebrated its 10th year in orbit which marked twice the length of its intended lifespan. 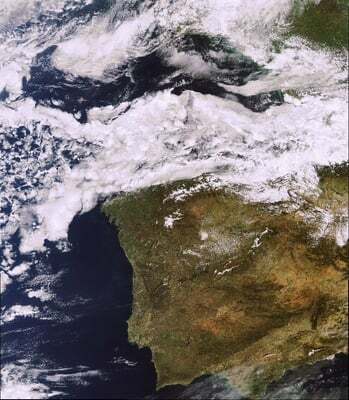 In October 2010, the orbit of Envisat was lowered from an altitude of 800 km to about 776 km in an effort to extend the lifespan of the satellite by three years. 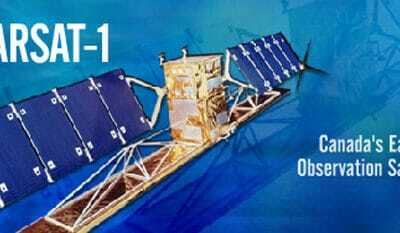 To date, the satellite has orbited the earth more than 50,000 times and houses 10 different instruments that collect data about Earth’s atmosphere, land, sea and ice, including the Advanced Synthetic Aperture Radar (ASAR) and Medium Resolution Imaging Spectrometer (MERIS) instruments. According to the ESA, the data acquired from Envisat has supported over 4,000 projects in 70 different countries. Envisat has acquired imagery that includes documentation of many of the earth’s phenomenon including volcanic eruptions of Mount Shinmoedake in Japan, the 2010 oil eruption in the Gulf of Mexico, the birth of an iceberg, and the April 2010 eruption of Iceland’s Eyjafjallajoekull volcano. Data from Envisat was also using to track and understand the movement of ash plume from the 2011 eruption of Grímsvötn in Iceland. 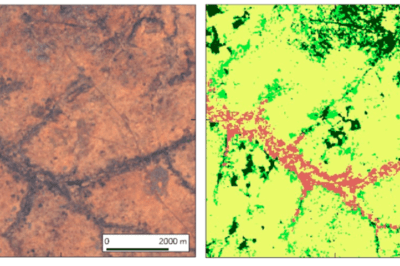 ESA has been making Envisat’s imagery available to the public since 2006. 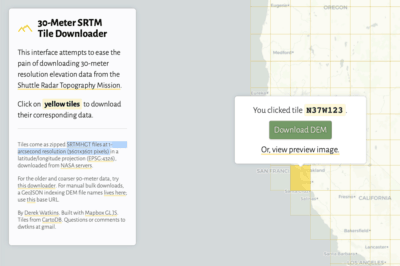 MIRAVI is the web interface provided by the ESA for accessing satellite and radar imagery. 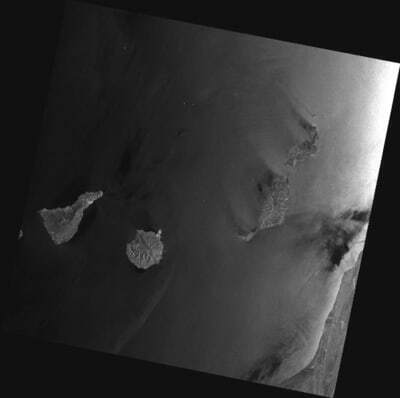 Spain’s Canary Islands captured on April 8, 2012. Credits: ESA/Edisoft.